The first edition of the West Africa hockey 5s commenced at the Theodosia Okoh hockey stadium, yesterday, with wins for host nation Ghana. The tournament seeks to promote youth hockey in West Africa as well as a preparatory grounds for the youth Olympic qualifier in Algeria later this year. Five countries represented with 5 male teams and 3 female teams. 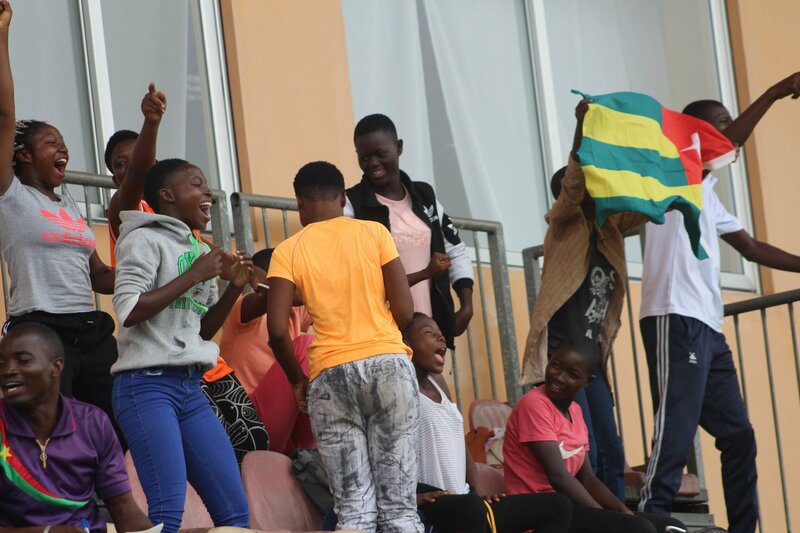 The opening game of the tournament yesterday saw Ghana’s female team engage their counterparts from Togo. The Togolese made its first appearance in any hockey tournament started on a more determined note. Their hopes were however, cut short in the 3rd minute when Okine Rafiatu put Ghana in front. the 1st session ended with Ghana 4-0 up. The Togolese came up strong in the second and final session but all efforts proved futile as they were beaten 11-0. Speaking after the game, Togo Female’s coach Kesse Komlan said, “we played with an opponent who has been playing hockey for decades, and we are so proud of how we performed. We are putting things in place and hopefully no team will be able to match us years to come”. In the boys division, Togo got the best of Burkina Faso beating them by 11-2. it was a game between two debutants as both teams made their way into the hockey fraternity for the first time. Togo showed dominance from the start of the game controlling every part of the turf. Their dominance was turned into goals as they scored six at the end of the second session to put the game beyond Burkina Faso. Burkina Faso gained experience from the first two session and played extremely well in the final session. They manged to score two goals with Togo bagging in five more goals. Host nation Ghana engaged counterparts Ivorian in the final game of the day. The boys from Ghana were enthused and eager to do better than their girls. The match started with the host dictating pace with three goals in the first three minutes. Ghana were 7-0 up after the first session. A resilient Ivorian side pulled one back in the second session but Ghana grabbed two more goals to increase their tally before the end of the second session. The Ghanaian side rounded up their scintillating win with six more goals in the final session ending the game 15-1 in favor of Ghana.